The very idea of an unassisted childbirth (UC) can be intimidating if not frightening to many people. Many proponents for unassisted childbirth suggest that women can have babies without going to the hospital. The argument for unassisted childbirth is that this natural life event should not be treated like an illness. Women are naturally capable of going through labor and delivery without assistance and some people believe that medical interventions may interfere with the natural process. This notion also adopts the theory that women can benefit from realizing their full capabilities. The theory of having babies unassisted considers the feminist mindset that women need not rely on others for fulfillment and support. This applies to childbirth as well as financial and emotional elements in their lives. Proponents of the form of natural childbirth suggest that women should not hand the reins over to medical authorities, just as they shouldn't give control to other people in other aspects of their lives. Keep in mind that this approach differs from home births, which includes a doula or midwife. The UC technique is one in which the woman gives birth without any guidance, assistance, or medical intervention at all. Those who support the unassisted approach to labor and delivery believe that a person's perception and mental attitude has a great influence on their responses to various situations. This may explain the phenomena of orgasmic childbirth, in which the mother derives great pleasure from the birthing process. Some suggest that this is a result of mental attitude, expectations, and perception. Women who undergo hypnosis for pain management during labor and delivery use the mind to control physical sensations. Those who support labor and delivery without assistance may adopt the idea that women feel such intense pain because they expect to and because they are afraid. Fear has a profound effect on the body, as anyone who has experienced intense moments of fear and dread can attest. The idea is reminiscent of the Secret Law of Attraction, in which people create their own realities through their thoughts, beliefs and perceptions. Many women experienced childbirth without medical assistance throughout history. The notion of moving births from the home to the hospital environment is relatively new. 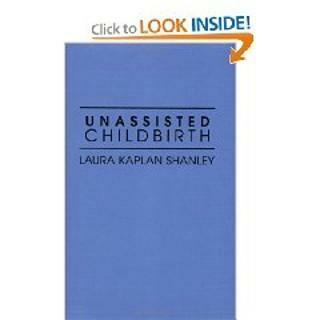 The book Unassisted Childbirth explores birth stories from past generations as well as those from underdeveloped countries. Stories run the gamut from a woman giving birth in a rice field, disposing of the placenta, and continuing to pick rice after the delivery within a few moments to women quietly having babies completely on their own with no problems. How can it be that so many women managed to have babies without help for so many years while the modern woman from developed nations appears to be dependent on others? Those who argue against the UC approach consider history and natural childbirth as well. Those who argue against unassisted childbirth consider the many losses people have experienced over time. It isn't necessary to take chances with a pregnancy and possible complications in this day and age. The Washington Post article, "Do-It-Yourself Delivery" notes that medical advances have "cut infant and maternal mortality in the United States by 90 percent during the 20th century". Ninety percent is a staggering figure and a statistic that should not be overlooked, according to those who oppose the UC practice. Many things can go wrong during labor and delivery since the birthing process can be very unpredictable in spite of it being a natural occurrence. Many physicians and health professionals urge women to think the matter through before making any decisions about giving birth alone. Ideally, the approach birthing method is one that makes the pregnant woman most comfortable while in a safe environment. Making the decision can be very difficult, and it is critical to do as much research as possible before deciding which approach is best for you.